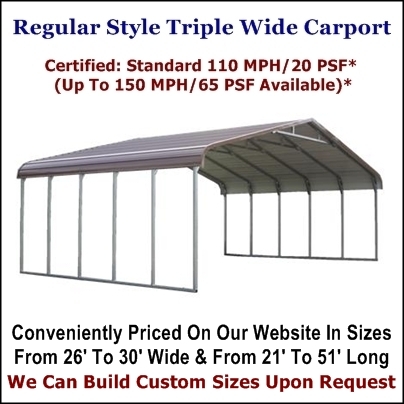 We offer Factory Direct Pricing on Metal Carports, Metal Buildings, Horse Barns, RV Covers, Boat Covers, Triple Wide Carports, Carports with Storage, and many other custom steel structures. You can save time & money by conveniently ordering online or call 1-888-315-1739. 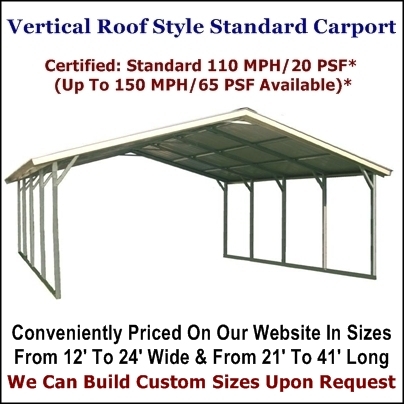 In the states of AL, AR, GA, IN, KY, LA, MO, MS, NC, OK, SC, TN, TX, & VA, order on our ecommerce website, www.MetalCarportDepotLLC.com. 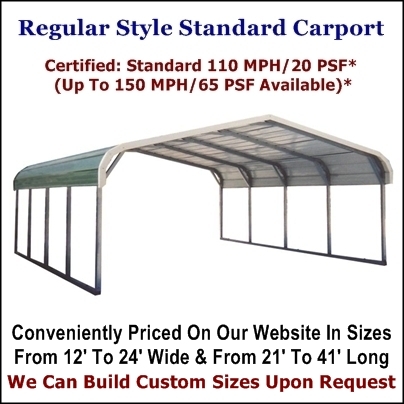 We also sell Metal Carports & Metal Buildings in many other states & provide free installation. States also served include: CA, CO, CT, DE, FL, IA, ID, IL, MA, MD, MI, MT, NH, NJ, NM, NV, NY, OH, OR, PA, VT, WA, WI, WY. We are in the process of adding these states, please call for quotes. 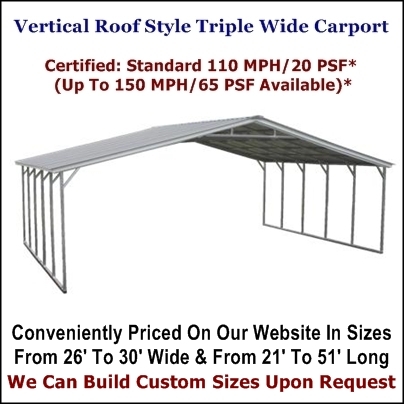 Click On Any Image Below For More Information & Pricing. 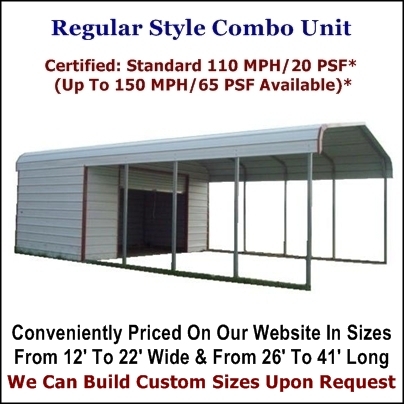 If you are looking to protect your car, RV, boat, farm equipment, or anything else which needs protection from the harsh outdoor elements, then our wide selection of rugged high quality all-steel structures and steel buildings are the perfect solution to fill your needs. 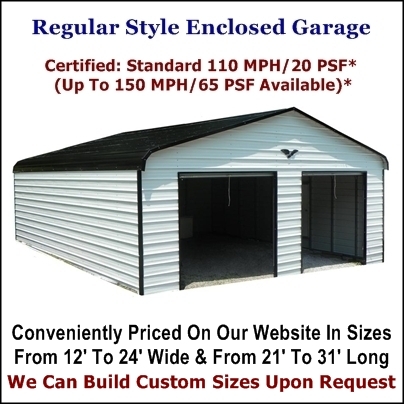 Our Metal Products are a convenient and economical way to store and protect your investment. 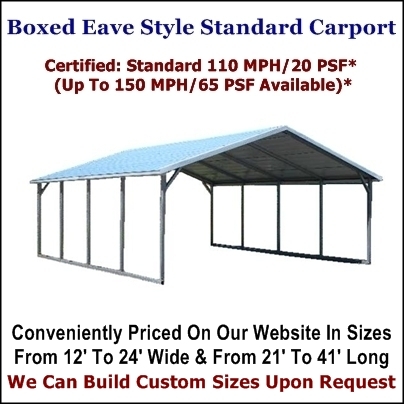 We offer many standard sizes to save you time & money. 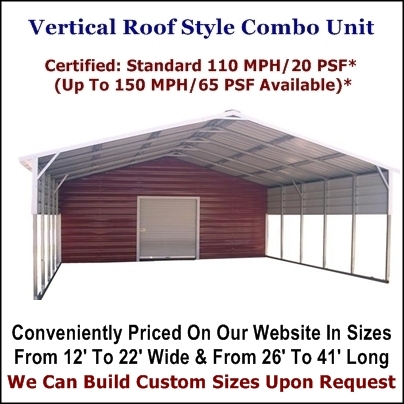 We also can accommodate your needs with custom building solutions. 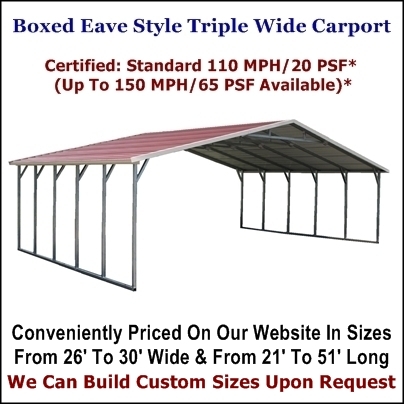 Contact us at 1 (800) 324-5315 for more information or custom quotes. 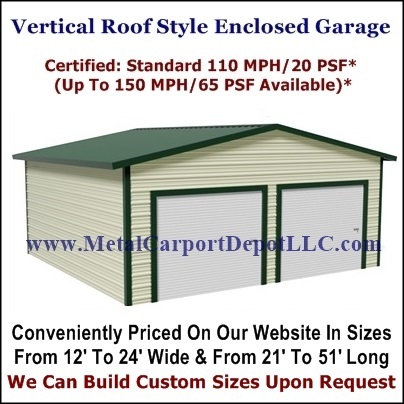 Or visit: www.MetalCarportDepotLLC.com. * Certification is based on concrete installation or use of optional ground installation anchors. Optional braces are required for certification for 9' to 12' legs. 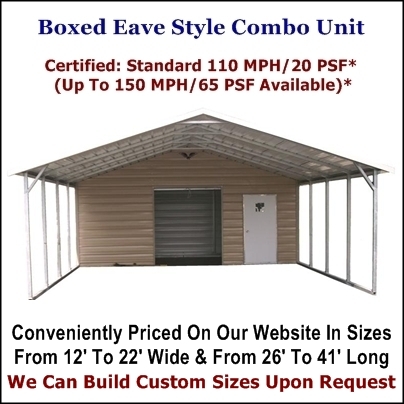 * Free Installation and Anchoring to your Level Ground, Asphalt, or Concrete Slab. Plus Local Sales Tax Only. Prices available in AL, AR, GA, IN, KY, LA, MO, MS, NC, OK, SC, TN, TX, & VA. Call for quotes in other states. 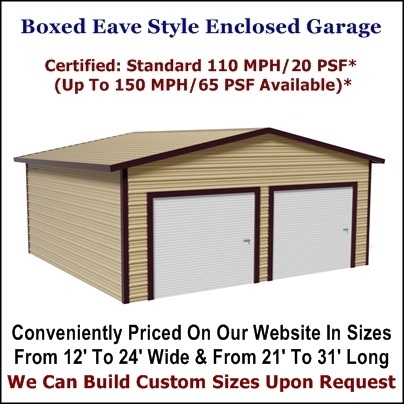 Or, call us at 1 (800) 324-5315 Mon - Sat 9:00 AM - 5:00 PM.